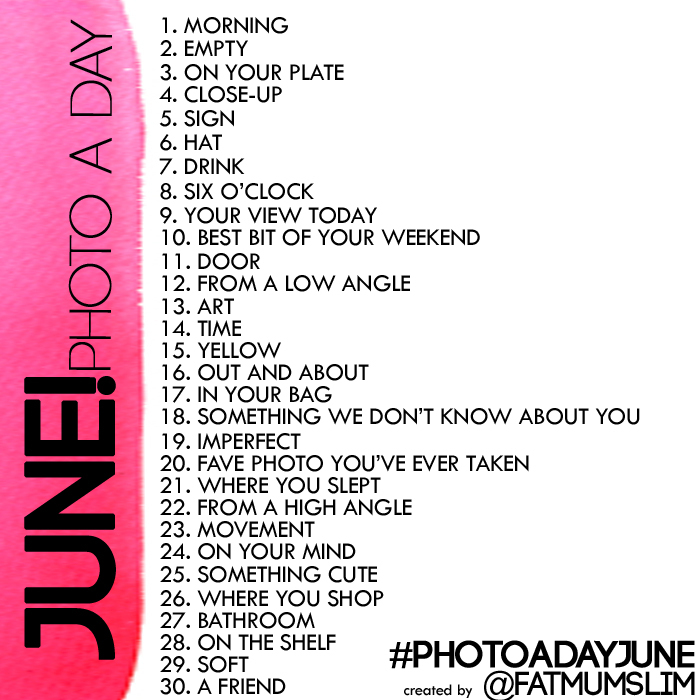 Lately I've been seeing a lot of ladies participating in Fat Mum Slim's Photo A Day programme. A new month and a new list is starting again tomorrow and I'am planning to participate. It will be a good way to take more photos and also use my new toy more. ;) I've printed out the photo and stuck it on my refrigerator so that I do not forget (like I forgot to take photos in the middle of Ali Edwards' A Week in the Life 2012!). I will be uploading my photos via Instagram and I would love to see you there. My username is 'nielouphar'. Oh by the way, Pretty Paper Studio is also on Instagram. Their username is 'prettypaperstudio'. So see you there?? Hi Neelu, I love FatMumSlim's blog... I think I might even participate this month, too! I just followed you.